From December through to March I’d almost given up on checking whether Hepworth United’s scheduled home games would be on. Let’s be truthful, the weather this football season has been unprecedented, well, for someone who started watching football in the mid-Eighties it certainly has been. I can’t comment on the ‘White Outs’ of the Sixties, but I would hazard a guess that during that period it would have to have been pretty grim for games to have been called off? 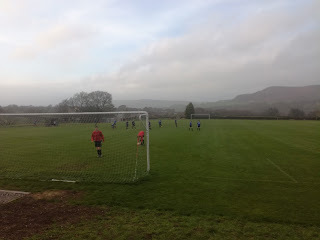 I am a bit old school though and I do think games are called off all too easily these days, and I for one much prefer the sight of a more mature referee than one of the younger breed who baulks at so much as a damp patch near the corner flag. That said, given what we’ve had to contend with, Hepworth United are probably one club who given their location, were always going to suffer. 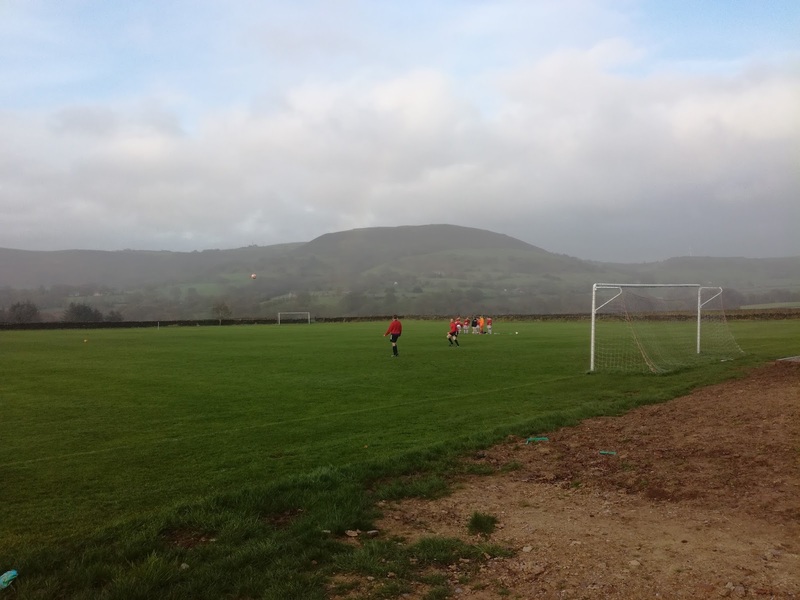 On the 4th of November they played a home game against High Green Villa, and it wasn’t until the 14th April that they finally got the next match on! That’s five months by my reckoning, so as a result, between the 14th of April and the end of the season they play nine successive home games, with the final one taking place on 12th May. That’s some record and I’d be interested to see if anyone can beat it. So why did Hepworth get it so bad? Quite simple really, located just South of Holmfirth, but effectively equidistant between Huddersfield and Penistone, the Far Lane ground is probably one of the most exposed venues I’ve ever been to. The journey from the Flouch Roundabout at the end of the Stocksbridge bypass takes you along the main Huddersfield Road before a left turn takes you out into the moors. The roads get progressively narrower as altitude is gained, before you eventually spot the turn into the ground. Inside the ground, the views are spectacular, but, as many have said before and will no doubt say again, it’s not a venue for the winter months. That said, this season it wouldn’t have been possible anyway! 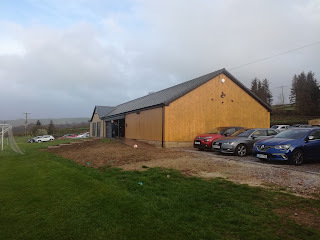 I spoke to a club official before the game who told me that at one stage they had eight foot snow drifts in the car park, someone did well to actually get to the car park to check it out! No, if the weather is bad, Hepworth is going to cop for it big style, so it’s just an occupational hazard I guess. 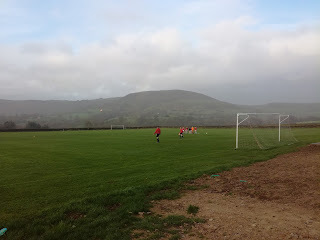 As well as having fantastic views, they also have a superb new clubhouse and dressing room complex. It was only opened this season and consequently hasn’t had chance to have much use. The bar area was spacious and smart and with it was a decent selection of beverages, while the food menu did look tempting albeit I had some fishcakes waiting for me back at blighty, so refrained from indulging. There are two pitches at the complex but Hepworth played on the one directly in front of the clubhouse, and that suited myself and Steve fine on a wet and windy night as we decided the best viewing position was from behind the glass patio doors on a warm, comfortable seat. It's cheating, we both know it, but who cares! The home side are closing in on a second successive promotion, having joined the County Senior from the Huddersfield League in 2016. 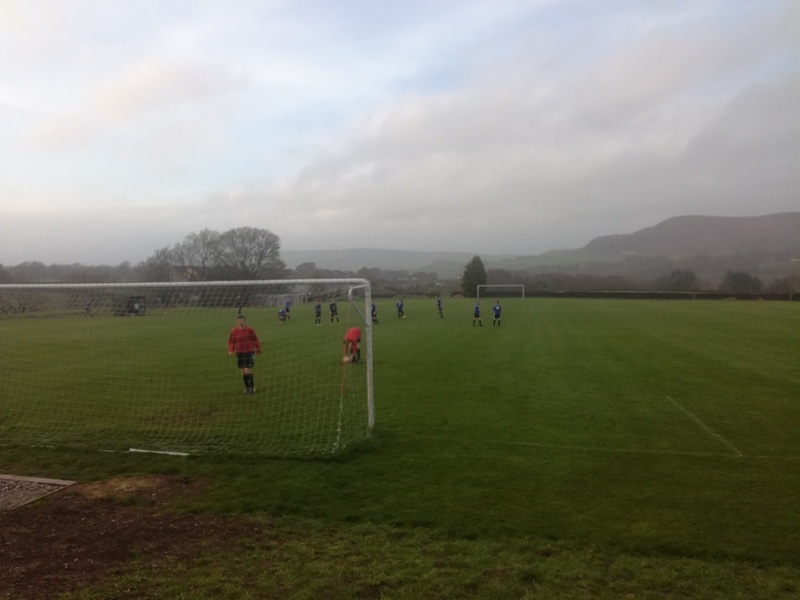 The Premier Division and Step 7 beckons next season, but going any further than that would be a huge challenge as the ground lacks railings, hard standing and of course floodlights. But, for many clubs Step 7 is their limit, and that is absolutely fine. No point overstretching and ending up in a mess. The visitors took a surprise lead but goals from Dominic Blain, Chris Drew and a brace from Christopher Kaye saw Hepworth run out comfortable winners in the end. 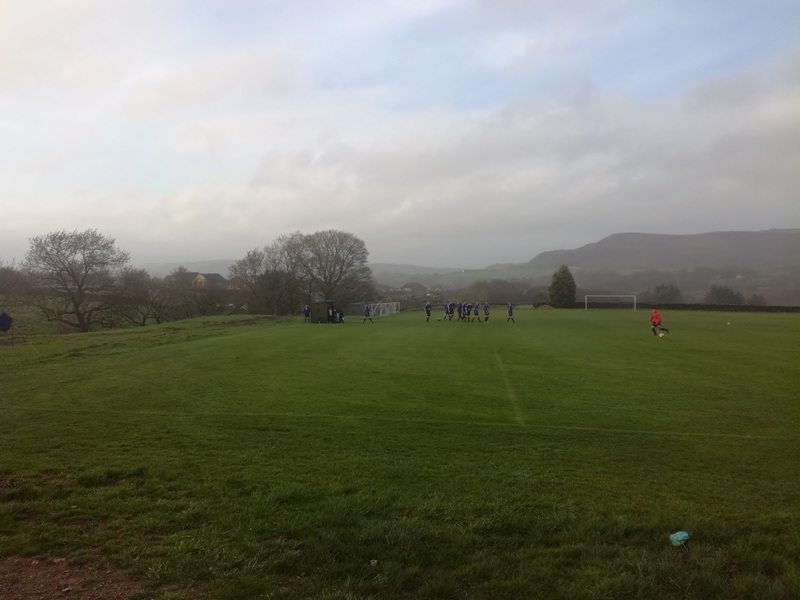 They looked an accomplished outfit, especially considering the lack of action over recent weeks, and will no doubt be a worthy addition to the top flight along with Champions Dodworth Miners Welfare, who were due to visit 48 hours later. A very enjoyable and worthwhile journey to Hepworth United tonight, and they are clearly a club that is well organised, has a dedicated bunch of helpers, and also forms an important part of the community. I would heartily recommend a visit, but, pick your moment, very carefully! Great blog post, You’re welcome back anytime pal!